Есть вопрос для The Park Hotel Chiang Mai? The Park Hotel это идеальный выбор для тех путешественников, кто хочет погрузиться в атмосферу Чиангмай. Отсюда, гости могут всецело ощутить преимущество удачного расположения и близости ко всему, что может предложить оживленный город своим туристам. Благодаря удобному расположению, отель предлагает легкий доступ к наиболее популярным туристическим местам в городе. В The Park Hotel, отличный сервис и превосходные удобства, помогут сделать ваш отдых незабываемым. Проживая в этом прекрасном отеле, гости могут воспользоваться такими услугами, как бесплатный Wi-Fi в номерах, Wi-Fi на территории, парковка, обслуживание номеров, трансфер. В The Park Hotel 176 номеров, в которых, тщательно и со вкусом подобрана мебель, так, чтобы обеспечить гостям максимальный комфорт, а также доступны следующие удобства: телевизор с плоским экраном, Wi-Fi (бесплатный), номера для некурящих, кондиционер, услуга будильник. В отеле можно найти полный спектр услуг для отдыха и развлечений, в том числе внешний бассейн. Получите удовольствие от первоклассного обслуживания и широкого выбора услуг в The Park Hotel. Children under 9 years old will be charged THB 160 for breakfast per day. Great value for money and excellent service -prefect example of Thai hospitality. Thanks so much! 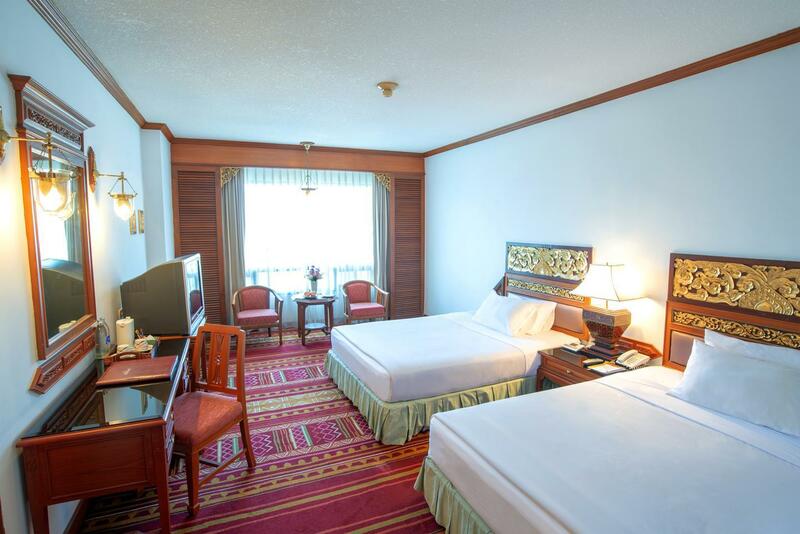 This is a very traditional hotel with spacious rooms and helpful staff. The room we stayed in was clean and well maintained, though some furniture show signs of age, everything is fully functional. The bed is quite hard which is what we liked - the other hotel we stayed in had a soft mattress and gave us back aches - this hotel's mattress is more to what we are used to. There were complimentary snacks in a small bag and fruits available on the dresser - very generous of them. The swimming pool was great , spacious for multiple guests. The breakfast was ok, a good variety nonetheless - most of the food there was cold - may be because we were downstairs at 9 (breakfast starts at 6 and ends at 10)? We regret not staying at this hotel for our entire trip - the one night stay was really lovely and we slept so well! Thank you for looking after us!! Dear Katie, Thank you very much for your review. The part of good review we will take it to be our encouragement and we will improve the part that made you feel inconvenience. We hope you will let us a chance to take care of your staying in the future. Best regards, The Park Hotel Team. Park Hotel is a very good hotel. We love this hotel and love the Staff. Rooms are nice, big and clean. Buffet is very good. Khun Vinai (General Manager) and Na Mon (Manager Restaurant) are very friendly and helpfull. They give us the feeling to be family. Special compliments to Porlo. He is very friendly too. We have been in many hotels but no other hotel is so good like the Park hotel. Dear Frans, Thank you very much for your review. The part of good review we will take it to be our encouragement and we will improve the part that made you feel inconvenience. We hope you will let us a chance to take care of your staying in the future. Best regards, The Park Hotel Team. Good value. Clean room. Comfortable bed. Clean bathroom with amenities. Friendly staff. Good breakfast buffet included - Thai and Western food. Free shuttle to night bazaar. Good location. Quiet. Elevators. Beautiful rooftop swimming pool. Old world Thai charm in lobby. Dear Kenneth, Thank you very much for your review. The part of good review we will take it to be our encouragement and we will improve the part that made you feel inconvenience. We hope you will let us a chance to take care of your staying in the future. Best regards, The Park Hotel Team. I was extremely impressed by the level of hospitality and impeccable concern of the hotel staff from the Concierge, to the Reception and the Restaurant for their guests comfort, happiness and well being. Do not be fooled by the humble exterior of the Hotel. from the moment the guest steps into the hotel they are greeted with warm smiles all around and are asked if there is anything they need. 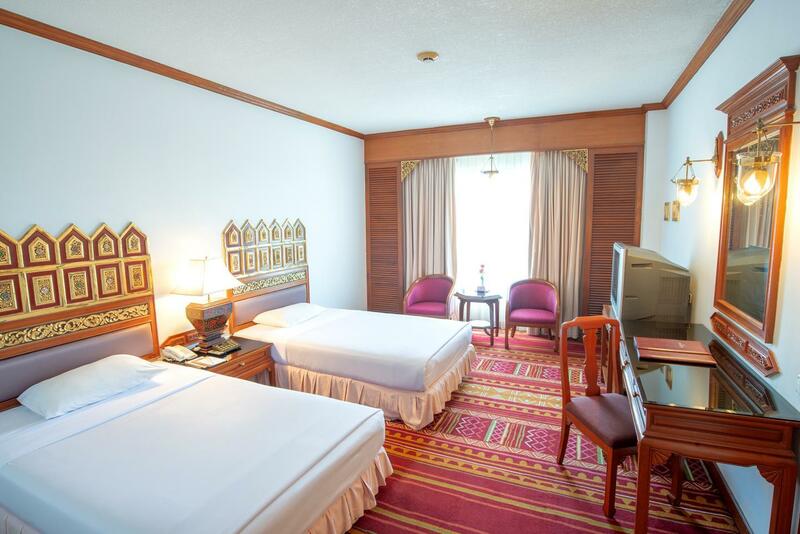 I could not have asked for more and I found the room exceedingly comfortable with every room facility in tip top condition and immaculately maintained. No regrets at all staying here and I will gladly return. Sadly, this fantastic level of hospitality service and sincere attention to the guest's hotel experience is missing in most brand name hotels in Thailand these days. Special mention has to be made to the super attentive and always smiling Breakfast crew in the Restaurant and to Khun Paul at Reception who goes out of his way to improve a Guest's stay in Chiang Mai. Thank You The Park Hotel CM! Dear Martin, Thank you very much for your review. The part of good review we will take it to be our encouragement and we will improve the part that made you feel inconvenience. We hope you will let us a chance to take care of your staying in the future. Best regards, The Park Hotel Team. Clean, very nice staff, roof top swimming pool. 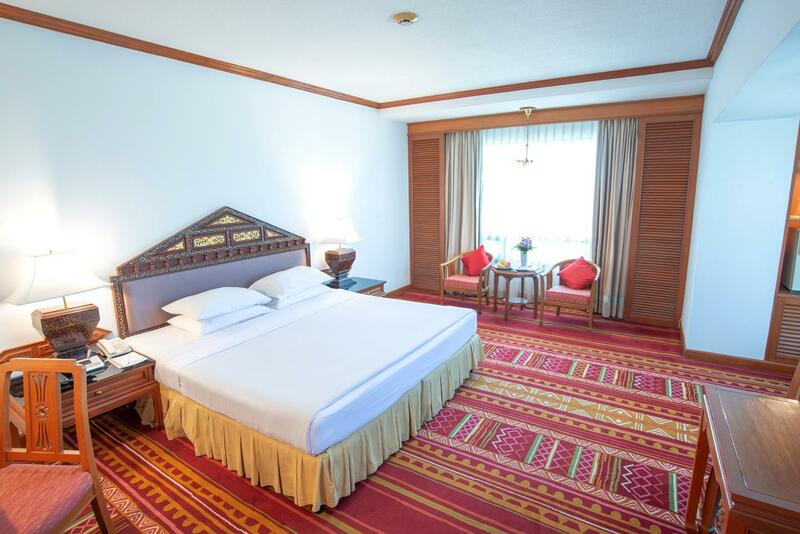 Clean room with good facilities. Slightly far from night market but no problem as rum tuk readily available. Dear Customer, Thank you very much for your review.We were so glad that we got the chance to take care of your staying at The Park Hotel Chiang Mai. We hope next time you will be back to stay with us. Come in as a group, with their quick hands, Check In progress finish fast and even when we having a breakfast, we feels like we are at the restaurant. Their staffs really HELPFUL. The hotel is well appointed and clean. Breakfast buffet is sufficient. Good location. We will definitely opt to stay at the hotel again. Dear Customer, Thank you very much for your review. Mr. Paul andMs Monna will be so glad that you were statisfied their services and all of staff were happy that you gave a chanceto let them take care of your staying. 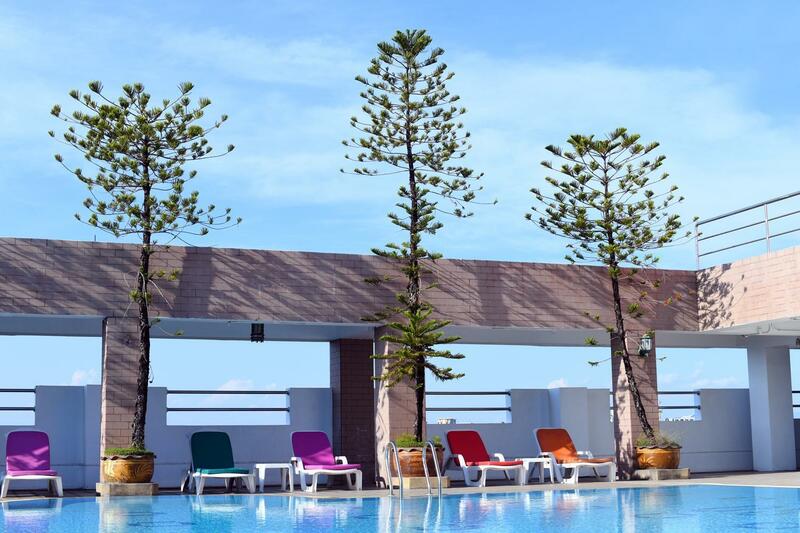 We are looking forward to welcome you back to The Park Hotel Chiang Mai. I was a little worried at first, as the hotel is somewhat old and does not appear to have been renovated... but that was baseless. We stayed for New Years, and the room was very clean, nice view, staff was very friendly. Plenty of parking. Not in the middle of the old city, which is a benefit if you have a car to deal with. Everything is perfect hospitality, from the Welcom gift to the specious rooms and wonderful Service and staff. A service highlight is the breakfast menu, accompanied by Moon to the table you immediately feel like home. She is a real asset and together with the other staff members makes sure your wishes are covered to make the breakfast experience a very enjoyable start. The Hotel is real value for the Money in every aspect. We booked the deluxe rooms and stayed on the 9th floor. 4 days 3 nights. Rooms were big, spacious and clean. Toilets are a little old but worked. Water pressure was good and it’s great to return daily from long road trips to relaxing hot showers. Gave us a bag of nuts, cookies and chocolates which we enjoyed on our road trips. Gave a platter of fruits daily too. Breakfast was buffet style. Not a big spread but food was good. The staff at the restaurant was attentive and very sweet. Informed us about the shuttle bus to airport proactively the day before we depart. Staff at other parts of the hotel were great too. Very responsive and fast. Fixed our safe (went out of battery) very quickly. Came forward and received our bags swiftly on arrival/departure. Location is about 15 mins ride from airport and 10 mins to old town. Transport is convenient so not a problem. About 150 to 200 baht per trip via the red taxis or vans. Off road covered car park. Great pool on roof of hotel. Nice staff. Beautiful, well maintained lobby. Very good breakfast buffet with a lot of variety in western and asian food. Nice clean room. Comfortable bed. On main road close to night bazaar, but away from the congestion and traffic. Good A/C. Clean bathroom. Room size, comfortable bed and location. Excellent. Only have one complaint. I asked to extend my stay by three nights to be told there were no rooms available but the morning of checkout was informed that it would have not been a problem to extend. By this time I had booked a much more expensive hotel which was non-refundable. The hotel. Which was twice as much, is not even close to the Park Hotel. I loved this hotel I will only stay here each time I come.lovely staff big beds great breakfast close to every thing you want to see or do shopping,markets,sight seeing , restaurants this place makes you feel like you are at home it was a pleasure staying here. I have stayed in over 20 hotels through Thailand and believe me when I say don't stay any where else than here value for money convenant welcoming. Have stayed here many times. Pleasant staff, good service, clean comfortable room, firm, not rock hard bed, good breakfast buffet with wide variety of Asian and western foods. Very nice pool. Close to night bazaar. Fruit plate, fresh flowers in the room upon arrival.